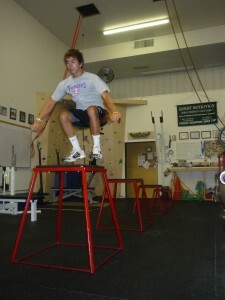 Our athletes’ training focuses on the athlete and his/her specific goals outside of general fitness and health. Training is centered on creating a more explosive and enduring athlete who is looking to dominate the playing arena. We utilize the best of Olympic, Power, and Kettlebell lifting to enhance these attributes. Speed, Agility and Quickness drills are also integrated so there is a seamless transfer from the weight training to competition. Our program focuses on the specific individual needs of the athlete and their particular sport. It is highly individualized training centered around developing the endurance and explosiveness necessary to take the athlete to the next level. We take the best from Olympic, Power and Kettlebell lifting and combine them with speed and agility drills to produce a winning athlete. I continue to work with athletes in basketball, baseball/softball, football, swimming and lacrosse.